SAN ANTONIO - The woman who became known locally as a fighter for international refugees spilling into Texas in the last few years has died of a reported stroke while leading a women’s retreat at Mo Ranch in the Hill Country. Rev. 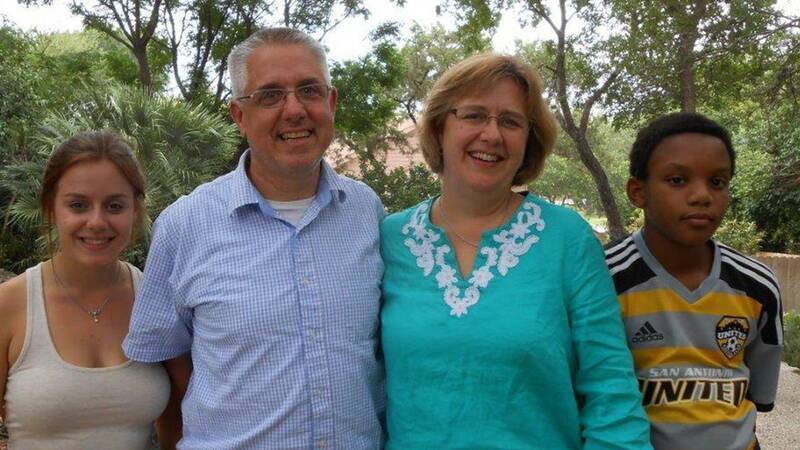 Kelly Allen, senior pastor at University Presbyterian Church in San Antonio, led efforts to come to the aid of women and children detained at facilities in Karnes County and in Dilley. Most of the women and children were feeling violent situations in their home countries in Central America. Allen was known as a rabble-rouser among family, friends and her congregation. She fought tirelessly for rights for the lesbian, gay, bi-sexual and transgender community. But perhaps the cause closest to her heart was that of helping women and children refugees fleeing violent situations in their home countries in Central America. Then her most significant public gesture came in October of 2014. That’s when Allen, along with Jonathan Ryan, executive director of the Refugee and Immigration Center for Education and Legal Services (RAICES), held a news conference to announce the donation of $50,000 from the University Presbyterian congregation for a bond fund to help the women and children detained at area centers. Ryan said that check was the bedrock of the bond fund. “That led us to raising over $300,000 to get women and children freed from those prisons,” he said. But Allen put the sizable contribution another way. She said it wasn’t a donation, but instead an expression of moral outrage. “Words can’t describe how important of a person she was to our community. She was a wonderful human being and a great friend,” Ryan said. Ryan recalled his friend as a woman who worked with him day-in and day-out on this mission. Ryan laughed. There wasn’t a more passionate person he’d ever met. She chaired the Interfaith Welcome Coalition, known as IWC; coordinated volunteers; planned events; and advocated 24/7 for other causes like the foster care system. And she did so with only a limited understanding of Spanish. “She was self-deprecating about the fact that she didn’t speak Spanish,” Ryan said. Friends recalled that she was taking advanced lessons, seeking to make a difference despite a language barrier. Ryan said she did it because she saw an injustice. “She dedicated a better part of her life to fixing it,” Ryan said. 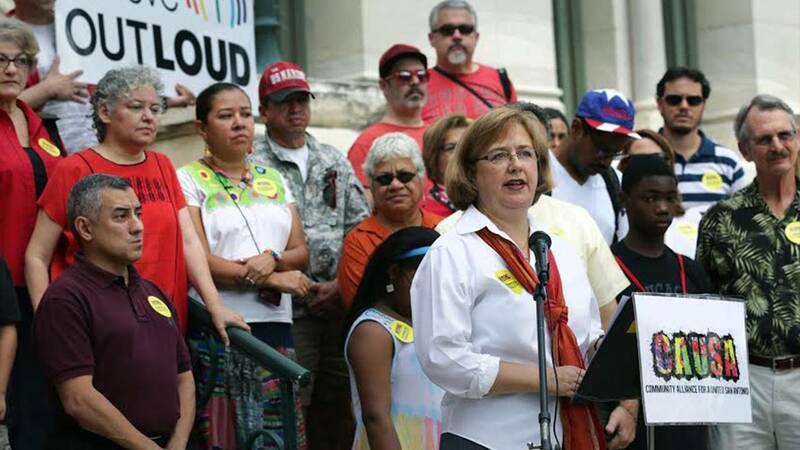 Allen got churches across San Antonio and the state involved in the mission. She gained the support of her own congregation. The number of people she had a hand in helping: “Incalculable,” Ryan said. Since August alone, though, 6,000 people came through Casa RAICES, Ryan said. “I think that she was very strong in her faith and she saw this issue as closely intertwined with her basic beliefs,” Ryan said. The fight isn’t over, though, and Allen’s passing comes at a critical juncture. “It’s like losing an important colonel or general in the middle of a battle,” Ryan said. Earlier this month, she did see one victory. A federal judge in Travis County imposed an injunction on the detention center in Dilley on a license to hold the women and children for longer periods of time. For Karnes, the situation is a bit different. The facility obtained its license just prior to the ruling. It may become a longer-term holding place where detainees throughout the country could be sent. 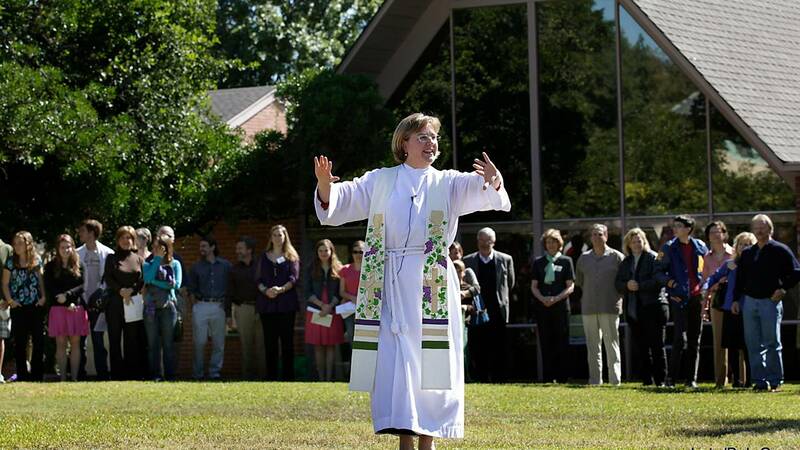 According to her biography on her church’s website, she served as pastor at UPC since 2009. 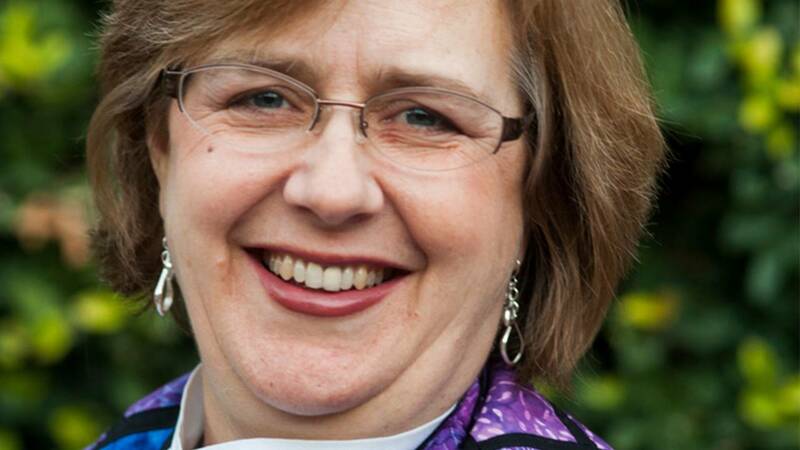 She was ordained in 1992 and served congregations in Ste. Genevieve, Missouri; St. Louis; Buckinghamshire, England; and San Antonio. She is survived by her husband and two children. Referring to tributes to another figure lost over the weekend, Ryan said it’s easy to hear memories of a person like Muhammad Ali and think they were about Kelly. “If I would use one word to describe her it was fighter,” Ryan said. Ryan said he spent his weekend dealing with the personal side of the tragedy. The inevitable, he said, is dealing with the profound professional ramifications. He said the IWC, RAICES and all those people she helped lost an ally, partner and peer. “The cause is love; not just refugees -- the women and children,” Ryan said. “The cause was loving your neighbor. “There will never be another one like her,” he said. Copyright 2016 by KSAT - All rights reserved.